Our mission as a caring and collaborative community is to provide a rigorous academic instructional program through respect, communication, and high expectations to maximize achievement for all our students. Students need learning opportunities that provide access to rigorous curriculum as a result of data-driven planning for differentiation. Click below to read more about the innovative school year calendar coming to Arcola in July of 2019! 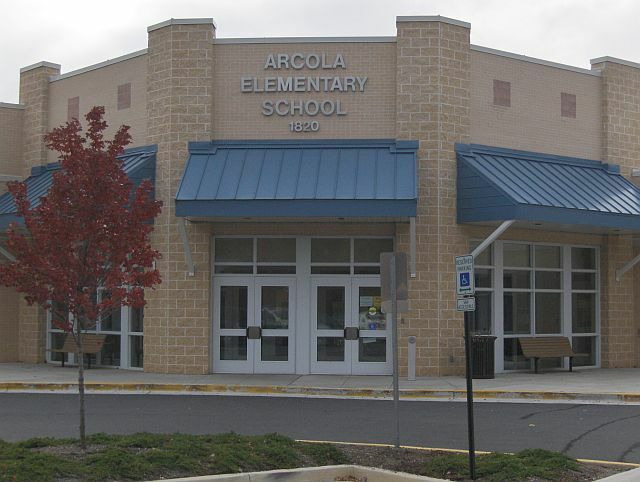 Arcola Elementary School opened its doors again in August 2007. The original "Arcola Elementary" was opened in the 1950's and closed in the 1980's. Even though, the "new" Arcola is twice the size of the original building with state of the art technology and a diverse student population of over 500 students, the neighborhood is just glad to have their beloved neighborhood school open again.